In almost every discussion about Harvey Houses, the question is asked: “Wonder how many are still standing?” When Fred Harvey died in 1901 (at the age of sixty-five) he owned and operated fifteen hotels, forty-seven restaurants, thirty dining cars and a San Francisco Bay ferry. I haven’t found a definitive list of all Harvey establishments during the span from 1867 when the first Harvey House opened (Topeka, KS) until the mid-1960s when the last Harvey Houses closed. However, determining the number of Harvey Houses that still exists isn’t all that difficult. Let’s begin with Texas! In the Lone Star State there were originally sixteen Harvey House restaurants and hotels. Only six of these buildings remain in Slaton, Gainesville, Amarillo, Brownwood, El Paso and Houston. The Mission Revival-style Slaton Harvey House opened in 1912 at a reported cost of $75,000. In 1989 residents of Slaton saved the Harvey House building from the Santa Fe wrecking ball and the next year the Slaton Railroad Heritage Association was organized to purchase the building and oversee restoration. In 2006 the Slaton Harvey House opened as a bed-and-breakfast and the space where Harvey Girls once served customers at the lunch counter is now available – without the counter – to rent for meetings, receptions and other special events. 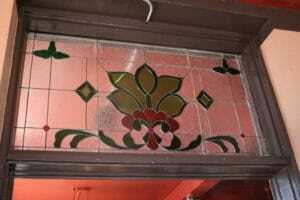 Originally the Slaton Harvey restaurant seated 42 people around a large oval counter with a marble top. The newsstand and gift shop opened into the eating area and the kitchen and bakery were tucked behind wooden swinging doors. Now you can easily recapture the spirit of those early times when you visit the space – especially when the trains pass by! The depot and Harvey House in Gainesville (1901-1931) have been restored and the building is home to the Santa Fe Depot Museum. I attended an event at the museum a few years ago and loved standing in the area where the Harvey House lunchroom served passengers for thirty years. You can still see the imprint of the large, curved lunch counter in the floor. Upstairs the rooms where Harvey Girls lived remain virtually unchanged. As I walked down the narrow hall passing transom doors that opened into the small Harvey Girl bedrooms I could almost hear the “swishing” of those starched black and white uniforms! 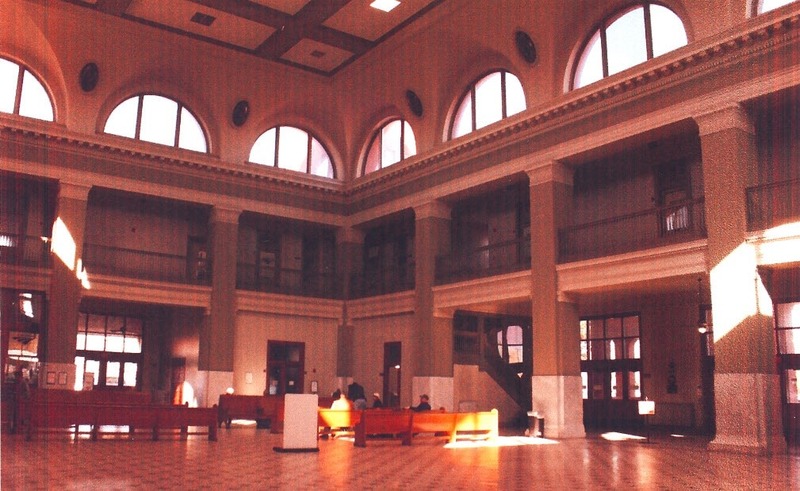 The Amarillo Harvey House (1910 – 1940) dining room and lunch room occupied the north end of the Santa Fe Depot and a newsstand was part of the public waiting room space. The large brick, Mission Revival-style building is similar in style to the Gainesville depot and Harvey House and has been beautifully preserved. Recently the City of Amarillo purchased the building with plans to establish a railroad museum. The last Texas Harvey House opened in Brownwood in 1914 and closed in 1938; opened again in 1940 to serve troop trains and closed permanently in 1944. The design of the tan brick building stayed true to the design of many Santa Fe buildings of the time, with dark brown trim and a red Spanish tile roof. 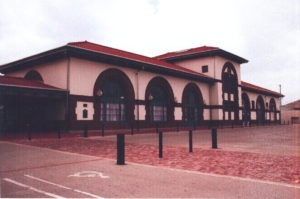 A covered walkway joined the Harvey lunch room and dining room to the Santa Fe Depot (built in 1910), giving an effect of one large building. The building has been restored and maintained as part of the Brownwood Transportation Complex. The buildings serve as offices for the Brownwood Chamber of Commerce and Visitors Center; the Convention and Tourism Bureau and the Gordon Wood Hall of Champions Sports Museum. The Lehnis Railroad Museum is across the street. In addition to the trackside Harvey establishments, Texas Harvey House lunch counters and dining rooms served train passengers in Union Stations in Galveston, Dallas, El Paso, Houston and Fort Worth. You can still visit the spaces occupied by the Harvey House dining room, bar, lunch room, curio shop, and barber shop in the El Paso Union Station that also houses an Amtrak station. The Houston Union Station has been restored and is now the main entrance to Minute Maid Park, home of the Houston Astros. When you hit the road for your summer travels, why not tour the Texas Harvey Houses and enjoy an overnight stay in the Slaton Harvey House!